Hi people! Wahhh long time since i wrote in here, isn't it? It has been hectic for this passed 2 months i tell you.. Assignments, projects, mid terms, presentations.. Haihh.. I barely had time for myself! It's a miracle if one night I did not have any discussions.. Miracle! Even sometimes, 2 subjects per discussion.. Our favourite spot will be; BILIK TV MAHALLAH AMEENAH.. Luckily it's very comfortable.. Air-cond, TVs, couches, clean mattresses.. FYI, i can say it has become our second room since we spent the whole night there and only got back to our primary room at dawn.. And now, no more "final exams are just in the corner" cuz they are here! Aarghhh!! (Ehem2.. Behave ye sister..) But it's true! Look look! Lemme tell you 'bout it.. Numec is the same as calculus, but way tougher.. But maybe I got the barakah for sitting in the front row from day 1, so kinda can understamd what the lecturer was saying.. Huhu.. Not to forget, special thanks to Jaja, for the slides from UTP.. BIG HELP! Cooking? Err.. yeah i took cooking skills.. :") It was okay.. The instructor, Cikgu Saha is a very cool man that he promised us an A from the very beginning of the class cuz never in his 8 years of teaching, all 23 students came for the first class.. Hahai~ Cyber law; a night class on Friday.. Sigh~ But something good happened during final presentation.. (can't tell u guys.. sorry~) Requirement Engineering (RE) class is an elective subject (for CS students, we have to take at least 4 electives) taught by Dr. Normi who's a very nice, humble person.. The handout slides for each chapter are not more than 4 pages.. I LOVE YOU MADAM! And the award for the toughest-and-very-difficult-to-understand class goes to... Computer Architecture and Assembly Language! Yeahh!! I almost drown to survive CAAL.. Susah gile wa cakap lu! Tapi tapi tapi.. Alhamdulillah.. I scored the highest carry marks! whaaaatt?? TAK CAYE! TIPU3! Anyway, Prof Wahab is one of the lecturers I most respect.. He is a very very good lecturer, respected by students and officers.. Sayang kat sir gak! Ah.. here comes Advanced Wireless.. I took this subject (which also an elective) because the Sir Mabrouk is da best! I took his Wireless Communication class last 2 semesters and it was my favourite subject of all .. and also cuz he promised that Advanced Wireless will not have final exam.. Hiyeay! But but but.. We need to do big project in return.. Oh it is big alright.. The class was divided into 4 groups.. My group, Digital Audio Mixer that consists of 11 members, need to build a software-based Audio Mixer.. (ala yang pakai kat music studio tu..) Progress presentation on every week.. In the end of the semester (which was on 22nd Oct), we had our final presentation in front of the ICT Dean, Head of Department (my FYP supervisor next semester), Prof Wahab (remember CAAL?) 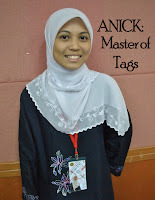 and Dr Maziah (which also my Artificial "AI" Intelligent lecturer).. It went well and they loved it! Go team! Oh EAP EAP EAP!.. I have EAP finals this 4th of November.. Wish me luck! There goes the whole semester... Ahaks! Me: Eh Shyra, ni aku ke ni? We had our gimmick shooting at Port Dickson when other bureaus were busy brainstorming to complete their actions/master plans.. hehe.. we had so much fun!! 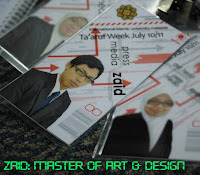 We went back to UIA on the 1st July 2010 (HAPPY BIRTHDAY, HAZWAN KADIR!) 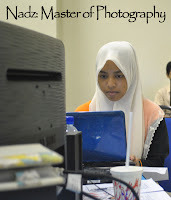 and we had our operation room at KAED lecture room.. Every night we had to stay back till 2-3 a.m. Poor us.. isk3! naah... As a student, we all have gotten used to it.. Piece of cake mann.. ;) To make it interesting, one night, when me n nina were walking back to our room, just 50 metres away, we got stopped by a freakin' dog!! Ya Allah.. We were so afraid and recited doas in hoping it will go away or at least not biting us.. We went there, it followed us.. We turned over and that creature friggin' chased us! buduh punye anjing! we slowly turned back and went to the guard booth, alhamdulillah it went back to its resting place.. Kesian mak guard yang mamai tu kena teman kitorang balik.. haihh~ What a nite, huh? Okayyh.. Here i put some pictures during the event.. Me so lazy to slam on this keyboard.. Plus i re-write this thang after the bloddy blog erased it when i tried to insert pictures.. hmphh -_-"
our 1st dinner all together..